Still haven't finished that project to celebrate Canada's 150th birthday (or sesquicentennial, if you are able to pronounce it!)? I've got you covered! Use some background fabric, a few fabric scraps and embellishments with the Multi-Purpose Quilt Spray to create a no sew wall hanging. This is such a simple and easy project, that you may want to make several of them. The best part is how fast it is to whip up. Once you've assembled your materials, decide on your design by arranging your items on the background fabric. Once you have determined your design, affix the items to the background fabric using the Multi-Purpose Quilt Spray. If you don't already have the recipe for this amazing, easy to make spray, you can get it here. To see how this all comes together, you can watch the video below or on my YouTube channel. I hope you enjoy a fantastic Canada Day! P.S. Join my private Chatterbox Quilts' Facebook group to learn more about quilting and other related topics. It's easy, just go to www.chatterboxquilts.com/fbgroup. This is a post especially for my Canadian subscribers, although anyone will enjoy making this project, I'm sure. There is still time to create a project to celebrate Canada's Sesquicentennial. While many quilters are making large quilts to commemorate this once in a lifetime occasion, I decided to keep it a little smaller and made some Canada 150 placemats. Quick to make and practical to use! 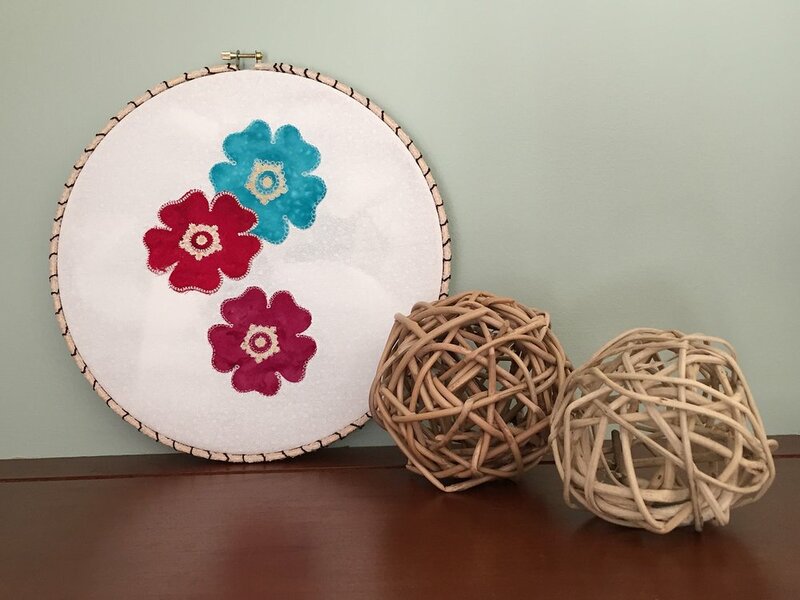 This project will be in Janome Canada's Look Book in the future, but I wanted you to have this pattern while there is still time to make it before the big day (July 1). These placemats use a quilt-as-you-go technique for quick constructions. You'll just need a background fabric, a few additional fabric strips and a small piece of fabric for the maple leaf appliqué. Click here to get the FREE instructions to make the Canada 150 placemats. Make 1, make 4 or make as many as you need! Have you joined my private Chatterbox Quilts' Facebook group yet? Go to www.chatterboxquilts.com/fbgroup to join us. It's been awhile since I've looked at a book that isn't all about quilting. I do, however, also like to pick up books that have stitching projects in them. I'm a sucker for cute, whimsical designs and Crafty Critters has lots of these. This is a small book packed full of adorable projects, perfect for gifts. 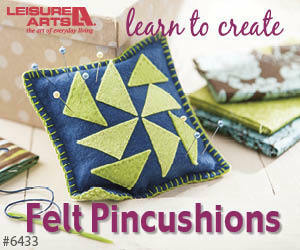 In Crafty Critters, you'll learn to sew whimsical little projects that feature owls, foxes and other woodland animals. Look through the book with me in the video below or on my YouTube channel. Love the projects in this book? You can pick up your own copy and start stitching up one - or all - of these sweet designs. Disclaimer: I am an Amazon affiliate and will receive a small amount of compensation should you purchase by clicking through a link above. Thank you for helping me continue creating videos and blogposts. I'll admit it: I'm basically a kid at heart. When I was young, I was always told that I was "so mature for my age". Now that I'm older, much, much older, I've decided that I want to be immature in some areas of my life. I love cute, snuggly, cuddly stuffies and can't resist anything fun or whimsical (just ask any of my friends about the many little animals hanging off my backpack), so I instantly fell in love with This is Mouse - an Adventure in Sewing by Brenna Maloney. Brenna apparently has the same off-kilter sense of humour that I do, as evidenced by her other books, Sock it to Me, Sockology and Socks Appeal (don't you love those titles?!). In her latest book, This is Mouse, you have instructions on how to make Mouse as well step by step instructions with photos on how to create his friends and accessories. Each section of the book is another "world" and includes accessories for Mouse, creatures and buildings appropriate to that world. While all the chapters are delightful, I especially liked the chapter called "Blast Off" where Mouse goes into space in a rocket and meets some space aliens. Gotta love the foil helmet!